At Fencestore, we’re proud to provide you with a diverse, high-quality range of fencing supplies to help you transform your outdoor space. 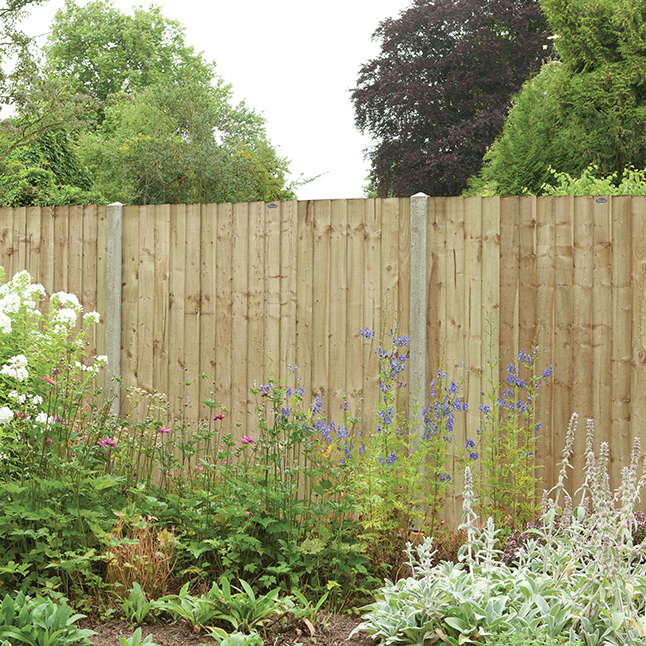 Our wide range of garden fence panels includes a variety of different sizes and styles. We have traditional options, such as picket, feather edge, and overlap, as well as contemporary designs featuring slats and trellis. 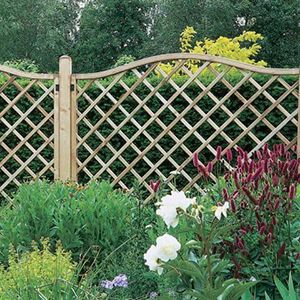 Garden trellis panels add a touch of style and class to any outdoor space. 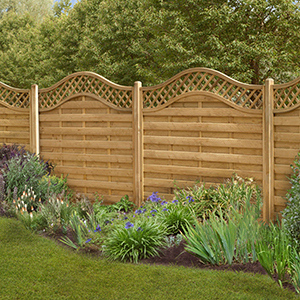 Use our trellis to create stunning, contemporary garden boundaries or as attractive wall fixtures supporting climbing plants. 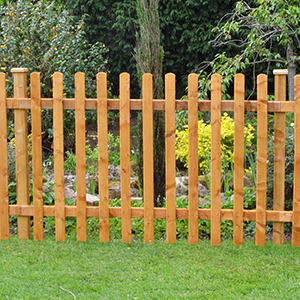 Fence posts are an integral part of any garden fencing run. 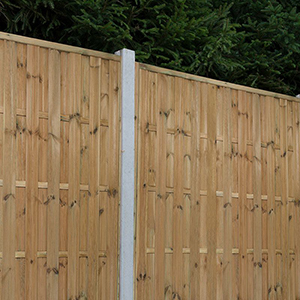 We have both wooden fence posts and concrete fence posts available, in a selection of different sizes. 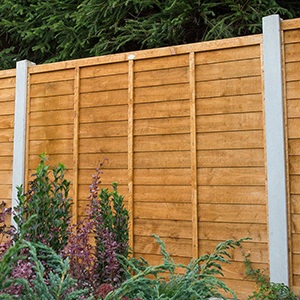 Plus, we offer a wide range of garden fencing accessories too, including gravel boards, post caps, brackets, and more. 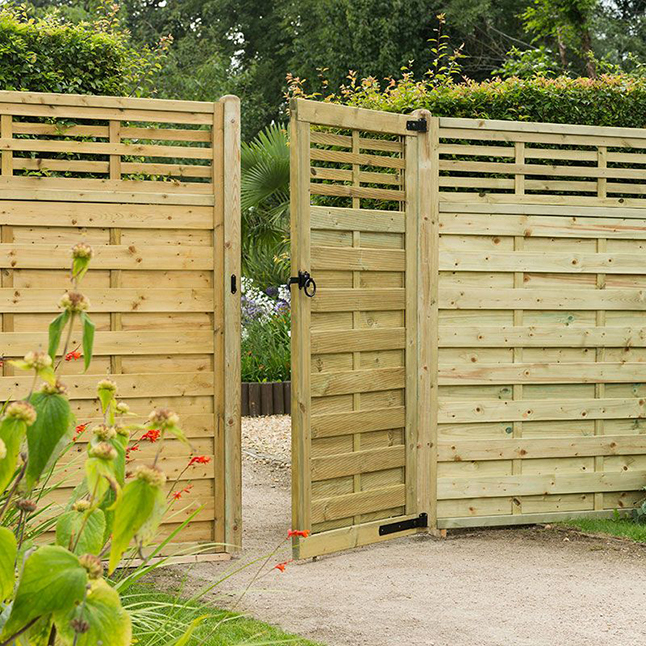 We have a brilliant variety of garden gates to choose from, many of which will match our fence panels. 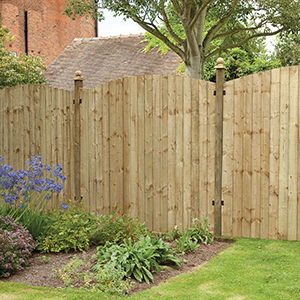 All of our garden gates are wooden, and boast impressive anti-rot guarantees of up to 15 years. We have superb options for side gates as well as smaller gates perfect for front gardens. 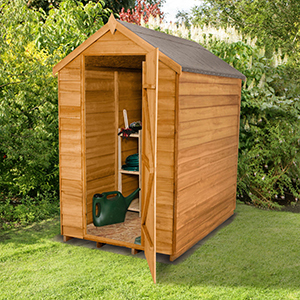 Aside from garden fencing, we also have impressive ranges of a wide array of different products including sheds and garden storage. Wooden, metal, and plastic options are all available, and sizes vary from expansive buildings to compact storage units. 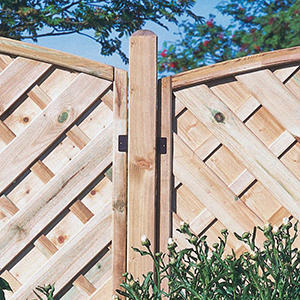 Fencestore, a UK leading fencing company, retails fence panels & fence posts, trellis panels, and many more associated garden products. We offer a fantastic selection of high-quality products, sourced from the UK’s premier manufacturers, and have been trading for over 13 years. All of our garden fencing supplies are priced competitively, shown including VAT, and we offer free ‘pick-a-day’ delivery on all orders over £100 to the vast majority of UK mainland postcodes. We also pride ourselves on the excellent customer service we provide; our friendly, UK-based staff are always happy to help.